Check out the video for a personal tour! Fantastic opportunity to own a four bedroom two story in high demand River Pointe. 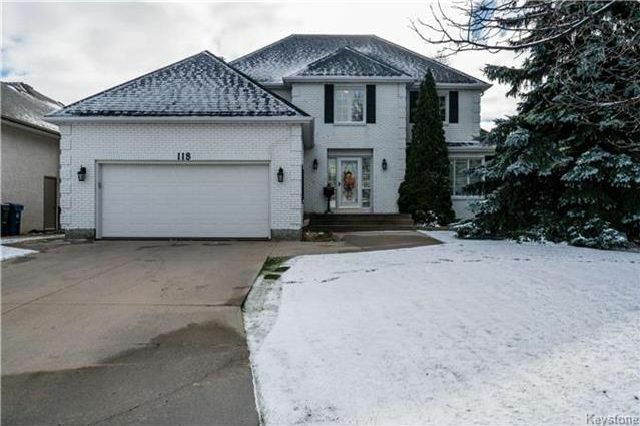 Custom built classic style family home has large family room with wood burning fireplace and patio doors to south facing deck. Large eat-in kitchen with updated flooring and quartz counter top. Generous dining room and living room great for those family gatherings. 4 bedroom plan with spacious master bedroom with three piece ensuite and walk in closet, as well as three good size bedrooms. Basement is ready for development. Large deck is part of the fenced back yard. Includes fridge, stove and dishwasher, central air & vac & sump pump. Updated shingles. Seller states home is insulated to R2000 specs and basement walls are insulated with styro.